You had doubts on your wedding day but thought things would change once you were happily married. They didn’t. You and your spouse agree that being married isn’t for you. Waiting a year would drag out the emotional drama and cost. You both want to move on and you know it would be best for the kids. You would like to reach an amicable agreement on parenting time, support, what to do with the house and how to split the finances. If you live in Maryland couples can now obtain a final divorce with no waiting period whatsoever (as of October 1, 2018). Under this new law, you and your spouse can get a Mutual Consent Divorce as long as you have a written agreement resolving all issues and both spouses are present in court when the absolute divorce is granted. 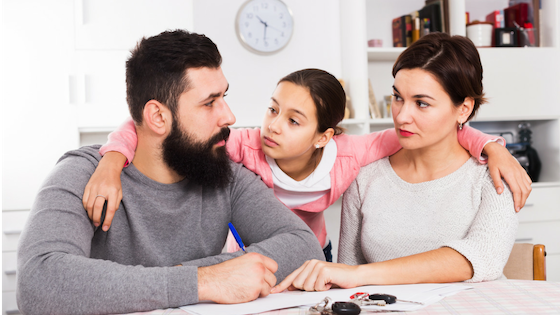 Before this new law, a Mutual Consent Divorce was only available if the couple didn’t have minor children (i.e. no children of the marriage or all children were over age 18). That limitation has now been removed. This is a significant and quite a progressive approach by the Maryland legislature. Maryland’s public policy doesn’t just encourage couples to reach settlement agreements but it now fully rewards it. No longer will a couple (with or without children) be forced to artificially wait a year after physical separation before a divorce can be granted. The emotional and financial cost of the one-year wait is over as long as that all important and complete agreement can be reached in writing. As a reminder, if the couple cannot satisfy the requirements of a Mutual Consent Divorce, a one-year separation is still required for a no-fault final divorce. A fault based divorce would be a different consideration. WHAT DO THE ATTORNEYS AT WISE FAMILY LAW DIVISION THINK? The new Maryland Mutual Consent Divorce perfectly aligns with our practice approach at Wise Family Law Division. We use our expertise and creativity every day to resolve the simple, as well as the complex, and to create lasting agreements keeping you out of court now and in the future.